Earlier last week I was able to take my father out for a beer and dinner while using a Cara Gift Card we had recently acquired by redeeming some Scene points. We headed to Kelsey's (Elmvale Shopping Centre, 1910 St. Laurent Boulevard, Ottawa) to check out how well this location does in a dated local area shopping centre vs the traditional big box store format. We entered on Monday evening to find a couple of tables occupied by customers and greeted by what we presumed to be a hostess who promised to be with us in a minute. Turns out the hostess was also a waitress as she would later be serving us our food and drinks at our table while another person worked the bar area. We were shortly seated at a booth and handed presented with the menus. After a quick review of what was on tap and little bit of a wait longer than expected for our beers we ordered our food. The Order: The Ultimate Bacon Cheeseburger (Double stacked 4 oz. 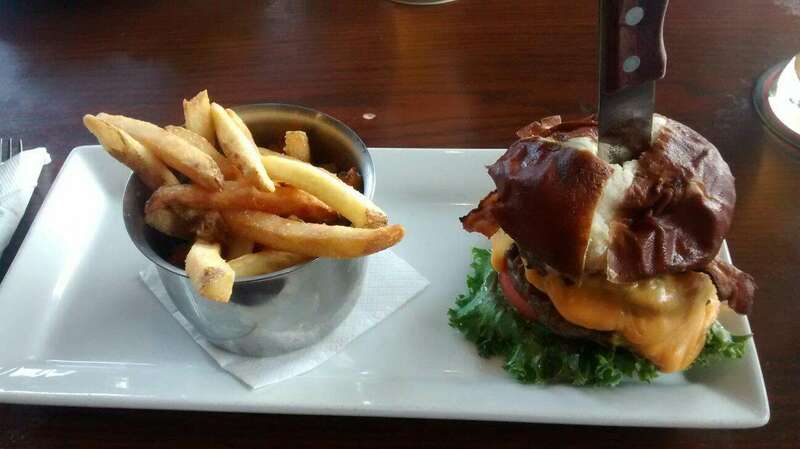 sirloin patties topped with double-smoked bacon, peameal bacon, cheese, fresh tomatoes, crisp leaf lettuce, red onions and mayo spread on a toasted pretzel bun) with fries and a Shock Top Belgian White beer. 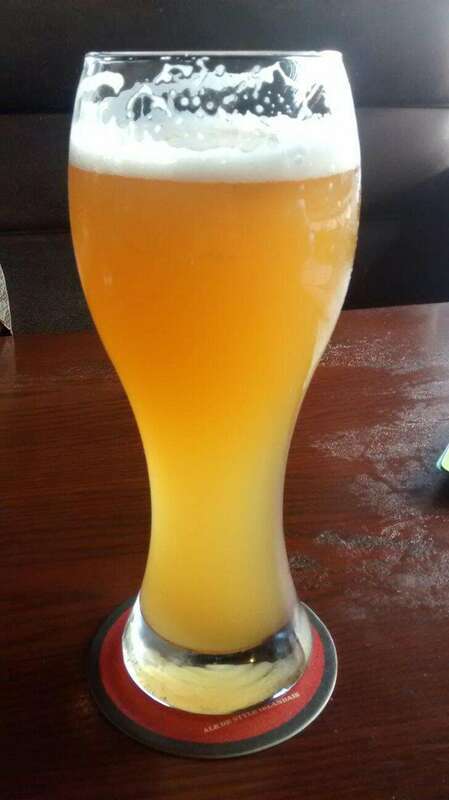 The Shock Top Belgian White beer was perfectly cold and refreshing. Served in an appealing tall glass with an average fresh orange slice to add a little more flavoring, the beer goes down easy yet tasty. After a reasonable short wait of 15 minutes of pleasant conversation our orders arrived. The Ultimate Bacon Cheeseburger was pretty good. For presentation purposes, the burger was skewered by kitchen grade knife to hold it together while sitting on a plate alongside a small bowl full of fries. The burger itself was pretty decent tasting with the melted cheese, adequately cooked bacon and juicy burger. The fries were average bar fries at best. Nothing great but not the worst I've had. Cara restaurants, including Swiss Chalet and Harveys, though aren't really known for their fries. Overall, this Kelsey's is similar to a neighbourhood pub as opposed to a destination their other locations are at the big box store plazas. With a low key leisurely feel it was nice to have a no rush quiet dinner and drinks plenty of space between you and the next table over. This location serves up average Kelsey's fare along not overly great but not terrible service. It may be worth a return visit on a busier Friday or Saturday evening in the future to see how things change with a few more customers coming through the door.